My husband gets frustrated with me because my superlatives aren’t as “super” as they should be. It must be the Filipino in me. When the kids perform and do a fabulous job, my reaction is ecstatic but I would say, ‘Very Good!”. In Filipino, that means awesome, fantastic, fabulous. So when I say “very good”, you have to remember that I mean it to be something fabulous! I want to introduce you to a very talented artist: Polina of PoZi Designs. 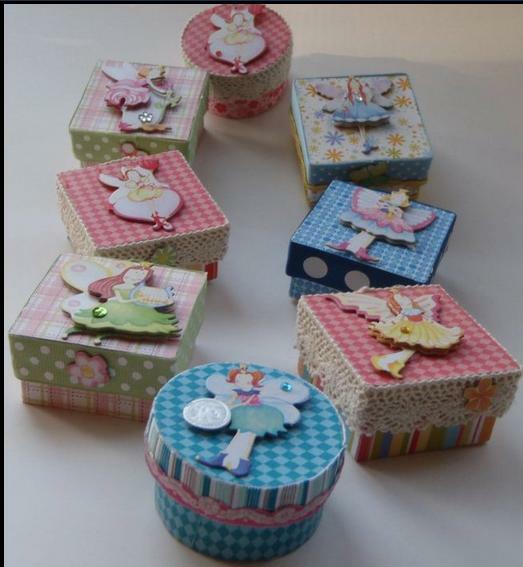 Here’s a tooth fairy box. For all the parents with little kids, do check this out and get a box from Po-Zi Designs. She can even custom make something for your child. This, I think is such a distinctive idea! I would leave a sample to the different dental offices. It kind of makes losing a tooth not as painful anymore – this may even be a great idea for teens that need to say “good-bye” to their wisdom teeth! Cake – hmm, my weakness! My youngest had his 10th birthday party, and since he loves gymnastics, Polina created the ultimate gymnastics cake. At first I thought it would be great to put the Olympics logo, but Polina being a very passionate mother, too, didn’t want to add pressure to my little guy’s dream – and what she created was something better than what I imagined. To top it off, it tasted really good! The group of 10 year olds at the party were so amazed not just by the artistic side of the cake, but the “yummy-ness” of the vanilla cake. I just love this artwork. It’s a doodle of paint in the highest form! I look at it and I get inspired because it brings the child in me! So please stop by Po-Zi Designs and browse through Polina’s creations. Click HERE to visit her page. Lastly, I just started re-reading Emily Bronte’s “Wuthering Heights” (thanks to my daughter’s recommendation). Did you know that Emily Bronte wrote the book when she was 77? So it is never too late to follow your dreams, right? Have a great weekend, everyone and keep smiling! Jen, nice blog, 1st time here and I love the tunes, too. Polina is a creative genius, and her work is inspiring and astonishing (in a good way). Thanks for sharing! Welcome,M. You're absolutely right about Polina! This is beautiful - I am happy that "M" found you. I hope she visits again and reads your other blogs. She is in for a real treat! Polina's work is awesome!! I will look at her sight.